MVP Heifer Boost is a dry feed supplement formulated with high quality direct fed microbials, live yeast culture and key trace minerals and vitamins, helping your calves reach their genetic potential. 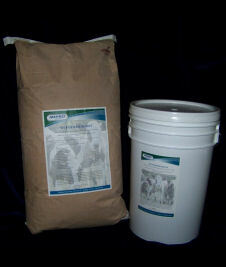 For young calves from weaning up to 500 pounds. Feed ¼ to ½ oz. per head per day. Available in 25 Lb pail or 50 Lb bags.